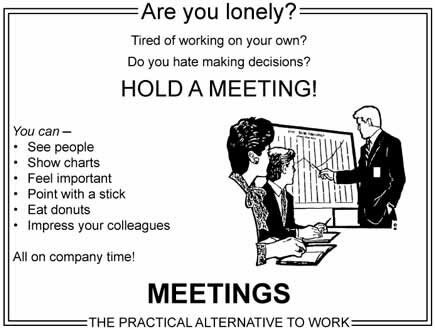 This time I will act like I have an idea of what the meeting is about. This time I will not speak unless I know what I am talking about AND I have finished chewing my croissandwich. This time I will wear sunglasses so any momentary dozing will be less noticeable. This time I will cry inside. This time I will wear pants.